A frequent collaborator with playwright-filmmaker David Mamet, Gregg’s early film appearances included such Mamet efforts as “Things Change” and “The Spanish Prisoner.” He later garnered substantial praise for his turn as a pre-operative transsexual opposite Adrian Grenier in “The Adventures of Sebastian Cole.” Gregg made his debut as a feature film screenwriter with the paranormal mystery, “What Lies Beneath,” turned in more respectable supporting work in films like “One Hour Photo,” and appeared with regularity on such hit shows as “The West Wing.” After writing and directing an adaptation of Chuck Palahniuk’s novel “Choke,” Gregg made his first appearance as secret agent Phil Coulson in the superhero spectacular, “Iron Man.” More Coulson cameos followed, eventually leading to an expanded role in the summer blockbuster, “The Avengers,” which teamed a number of Marvel Comics’ most iconic heroes on screen for the first time. While not boasting the marquee recognition enjoyed by many of his costars, Gregg remained one of the more versatile and employable talents in Hollywood. Throughout the ’90s, Gregg divided his time between performances on the stage and screen. Working on efforts in both New York and Los Angeles, he directed productions of Kevin Heelan’s “Distant Fires” and Mamet’s “Edmond,” in addition to garnering praise for his performance in an off-Broadway mounting of Jez Butterworth’s “Mojo.” Gregg added further to his steadily growing film resume with solid turns in such notable films as “Clear and Present Danger,” “The Usual Suspects,” Mamet’s “The Spanish Prisoner” and Paul Thomas Anderson’s “Magnolia.” Rounding out the decade, he made an indelible impression as the maternal, pre-operative transsexual step-father, Hank-Henrietta, in the indie coming-of-age drama “The Adventure of Sebastian Cole.” As a writer, Gregg picked up his first screenplay credit for his work on the Robert Zemeckis-directed supernatural-thriller, “What Lies Beneath,” starring Harrison Ford and Michelle Pfeiffer as a couple whose lakeside home hides a terrifying secret. Do you want to hire Clark Gregg? Directly request a quote. In 48 hours we can send you the availability of Clark Gregg If you would like to book Clark Gregg, Entertainment Booking Agency is the right place. 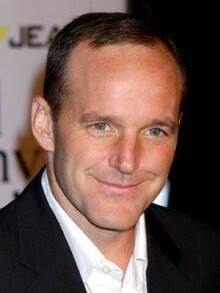 We will offer you the best price and contact the management or we directly contact Clark Gregg. For corporate appearances or speaking engagements you can contact our agents and the will help you true the process. Tags: hire Clark Gregg, Clark Gregg booking, book Clark Gregg, Clark Gregg appearances, find more information on booking Clark Gregg for appearances, Clark Gregg speaking engagements, Clark Gregg endorsements/spokesperson, Clark Gregg appearance fees, Clark Gregg booking agency contact info, biography of Clark Gregg, Contact an artist booking talent agent find a speakers bureau that can book Clark Gregg, speaker booking agency for Clark Gregg, Clark Gregg booking agency, Clark Gregg booking for corporate event. EBA is one of the biggest entertainment booking agencies in the World. We book hundreds of celebrities, artist, athletes and speakers in a year. Important to know is that we are not claiming to be the management of Clark Gregg. We are not the official agent for Clark Gregg. Companies from around the globe book these artists and speakers true our company be course we have one of the biggest networks and we always have direct contact with the artist or the management. We help you to find the right celebrities for your corporate of private events. Please contact one of our agents to get free advice and we will help to get the world-famous artist on your party.